Is the promise on the Educational Sector on the way ? Having passed through the educational system in Nigeria, i must say a lot is still lacking ranging from infrastructure, books amongst others. I don’t even want to talk about the university lectures and what goes on in the system. I have always criticized people who fly there kids abroad but along the line i asked myself, would you blame them. My answer is NO. Its a shame that here in Nigeria Education is not top most priority. I could remember about a year ago, during the campaign specifically, our very own President Muhammed Buhari, made a lot of promises on the educational sector. When i listened, i said to myself if the president could do all of this , as little as it sounds then its more like clearing the way for a better educational system in Nigeria. I took note of all the promises and i kept my list according to his promise. Do you know i started counting down to when the promises would be kept. (I don dey grow grey hair self when i dey wait for promise). Its a year now and still counting and nothing has been done, do i take it that the President forgot his promises or would i just say he is been so busy and Education is not his to do list. Nigerians may no longer have to send their children abroad or private schools to access quality education if the president elect, Muhammdu Buhari, implements all his campaign promises in the education sector. Mr. Buahri has promised to invest 20% of the annual budget in education, establish well equipped ICT centers, six new universities of Science and Technology with satellite campuses in various states, cub examination malpractice and forgery, and provide at least one free meal to pupils in primary schools amongst others. The Nigerian education system is in a mess. Nigeria’s education sector is plagued by poor infrastructure, endless strikes and low staff morale. Overtime, it became a tradition in the Education sector, where teachers, lectures go on endless strike over non-payment salaries. The distorted education system has made parents send their child abroad to school. But with the implementation of the Mr. Buhari promises; the education sector should be transformed. 1. Fully review provisions of the Universal Basic Education Act with emphasis on gender equity in primary, secondary school enrollment whilst improving the quality and substance of our schools, through outcome based education, that address the individual, family, and societal roles in education; and the associative skills and competencies that go with these responsibilities. 2. Targeting up to 20% of our annual budget for this critical sector whilst making substantial investments in training quality teachers at all levels of the educational system. 3. Implement a performance-based education, predicated on outcomes, skills, and competences as against the current certificate based qualification. I will adjust the reward system accordingly too. This way, exams malpractice and certificate forgery will be resolved once and for all. Young men and women interested in real liberal arts education, based on a true understanding of scientific, the humanistic, and the social sciences will fill our classrooms to be prepared for future leadership of the nation. 4. Enhance teacher training and improve the competence of teachers in the light of the 21st Century and beyond understanding of the learner types, intelligence types, as the multiple assessment types, in order to open up learning for all our children types. The era of one student type will give way to an all learner type for our children and young people as well as adults who want to return to the classroom to sharpen their skills, competencies, and sensibilities. This re-engineering of our education will be followed with a clearly thought out and vigorous national inspection programmes. 5. Make learning experiences more meaningful for children as the nation’s education will no longer be a preparation for life, but life itself. Our children will be democratized for education, rather than be educated for democracy. This view of education will make educating our children more cost-effective in the long run. 6. Provide One Meal a day for all Primary school pupils. That will create jobs in Agriculture, Catering, and Delivery Services. 7. Develop and promote effective use of innovative teaching methods/materials in our schools. 8. Ensure a greater proportion of expenditure on university education is devoted to helping our youth to understand the juxtaposition of Science, Technology, the Humanities and the Social Sciences. 9. Establish at least six new universities of Science and Technology with satellite campuses in various states. These six universities should be fully equipped with ICT technologies in order to attract and encourage small and medium scale ICT enterprises after their university education. 10. 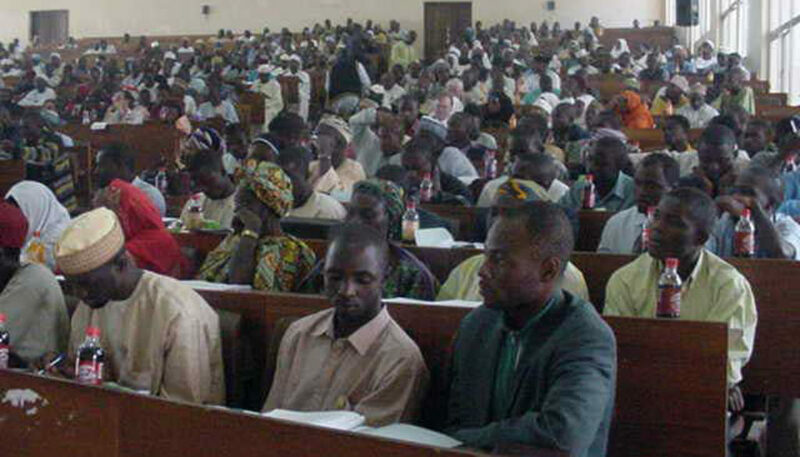 Establish technical colleges and vocational centers in each state of the federation. 12. Establish six centers of excellence to address the needs of special education.